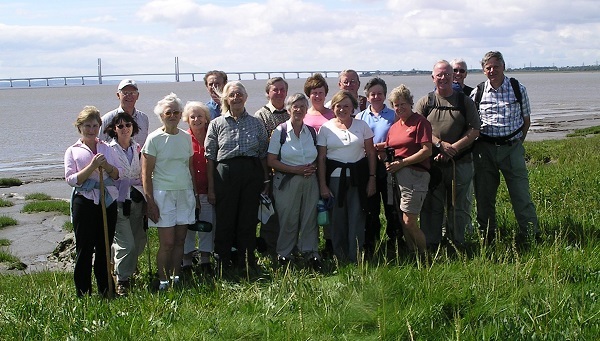 My name is Maurice Turner, along with my wife Dorothy and various friends, I am walking round Wales. As we are all retired, it’s taking us a long time. So far we have walked Offa’s Dyke, the Pembrokeshire Coast Path and the Wales Coast Path from Chepstow to Amroth; a total of 585 miles. This has taken us 8½ years and we hope to complete the remaining 452 miles in another 5 years, that is by September 2020. 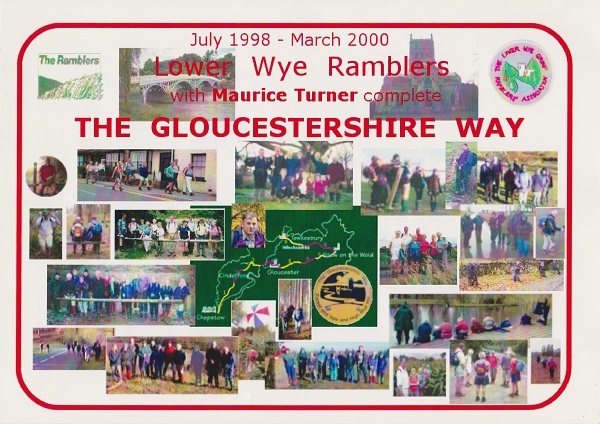 We joined the Lower Wye Group of the Ramblers’ Association in 1994 and on 30 October it will be the 21st anniversary of our first walk which was in the Forest of Dean. We are regular walkers with the Group but recently we haven’t been walking with them every Sunday, there are too many distractions. In 1998 Ray Wensley organised a series of linear walks along the Gloucestershire Way from Chepstow to Tewskesbury. We started in July 1998 and completed the trail on 5 March 2000. As this was very popular Ray suggested we next walk the Wye Valley Walk but not content just doing this he called the walk The River Wye From Source To Severn with the intention of walking from the source of the Wye to it’s confluence with the River Severn. On 7 and 8 September 2001 we had a weekend away staying in Rhayader. Our first challenge was to find the source of the River Wye. This meant we had to climb Plinlimon on the north side to find the spring from which the Wye emerged on the south side. We all found different springs but I thought mine was the correct source because it was the furthest up the hill in a direct line with the stream lower down. By the end of the weekend we were in Rhayader. A second weekend was held in April 2002 which got us as far as Builth Wells with a further weekend planned for June. Sadly, between these dates, Ray was taken ill and died six weeks later. This was a big loss to me. I considered Ray to be one of my few friends as we had many similar interests and ideas. He would have loved to be around today with all the electronic devices available. In spite of this setback we still intended to carry on with the Wye Valley Walk and over the following 3 years various leaders took us as far as Chepstow. The walks were memorable in many ways and not just for the stunning scenery. We were almost blown off Plynlimon, argued about the true source of the Wye, lost rucksacks down steep valleys and walked in water up to our knees; and that was just on the first day! The highlight, or maybe the lowlight, was a hotel we stayed in near Hereford. The owners were new and didn’t really have much interest in the hotel. We ended up preparing and serving our own breakfasts! The experience was all made worse by the transport the hotel owner provided to take us to and from the walks – it was a Transit van. On the first day we all sat on mattresses in the back but on the second day he provided dining room chairs which were in 4 lines. I’m sure this wasn’t legal. I was insistent that we carry out Ray’s wishes to walk the Wye from source to Severn and on Sunday 14 August 2005 we walked the 4 miles from Chepstow to the confluence of the Rivers Wye and Severn at Beachley Point followed by a celebratory lunch at the Old Ferry Inn. So, two long distance trails completed, we needed another challenge and this came about 2 years later when Terry offered to organise a walk along Offa’s Dyke. Little did he realise what he had started! But first, a bit of history – King Offa of Mercia and his Dyke.